We have been a top swimming pool builder along the Port Edward and Margate coast line for more than 20 years. If you are looking for an awesome swimming pool that will make your family times fun and your friends envious then contact us for a free consultation and estimate to get the pool you have always dreamed of having in your home's yard. Having a swimming pool will certainly increase the value of your home when you decide to sell it in the future. 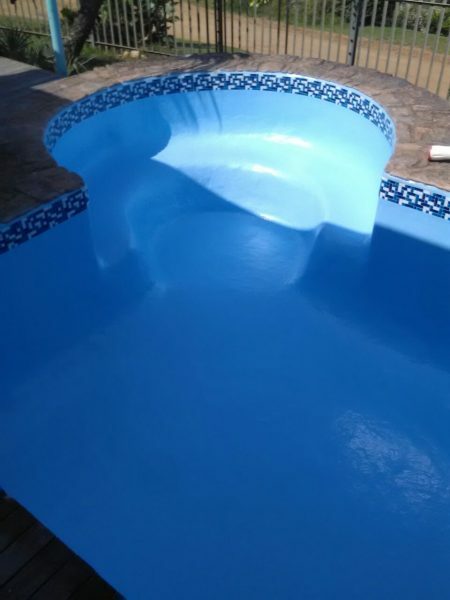 Our pool building team has many years of experience in all phases of building swimming pools of all types and sizes and our customer focused approach makes the pool build experience just that, a pleasant experience. We want our customers to be there from the moment we get to the job until the end of the job so that they can have as much input into the design and final outcome of how your swimming pool will look. We understand that your property is a big investment for you and we want our clients to know that we are here to help you increase the value of your property by building a quality swimming pool that will last many years. From new construction of swimming pools to repairing existing family pools that need a face-lift, our professional swimming pool building staff help you achieve your dreams. Having a good looking and functional swimming pool in your home's property will dramatically increase thee value of your property when it comes time to sell your home. We carefully design your swimming pool to ensure maximum enjoyment and for you to get out the benefits and enjoyment you planned for when you decided to build a swimming pool.